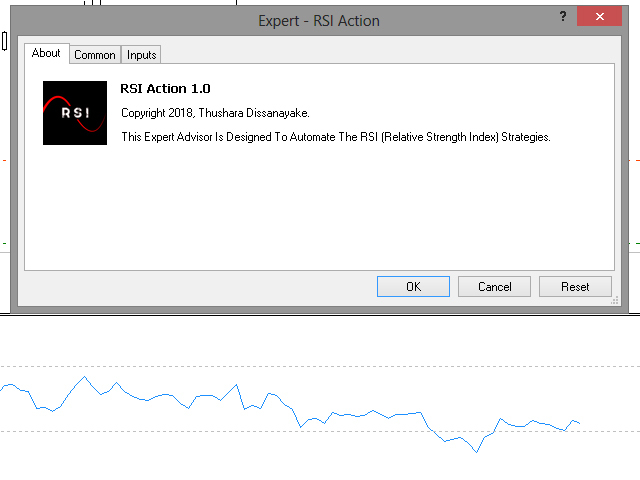 The RSI Action Expert Advisor is designed to automate most popular RSI (Relative Strength Index) strategies. It opens orders when Overbought and Oversold Levels are touched. The user can filter that main signal by allowing to identify RSI reversal points, set pending orders, set major trend and allow to identify trends by Moving Average Crossover signals. The modern trailing system automatically locks your profits and trail for maximum profit. 1. Added new parameter for reset the order limit lock. 1. Added new parameter for limit orders. 2. Fixed "Zero Divide" error. 2. Updated the product logo. 1. 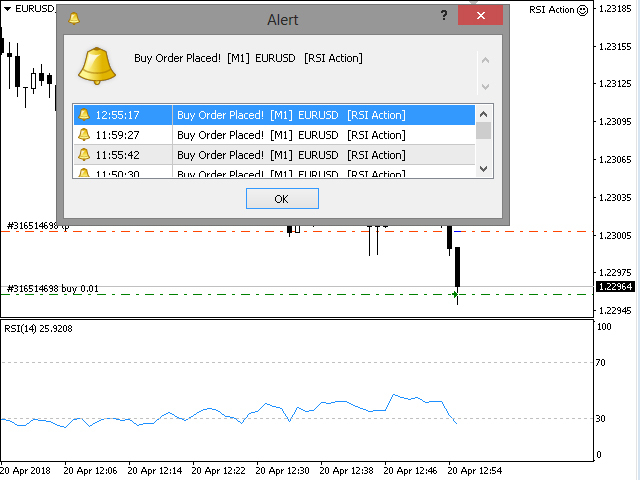 Added profit protection option and optimized trailing function. 2. Change hidden stop loss method to visible mode. 3. Added moving average crossover signal filter to detect trend. 4. 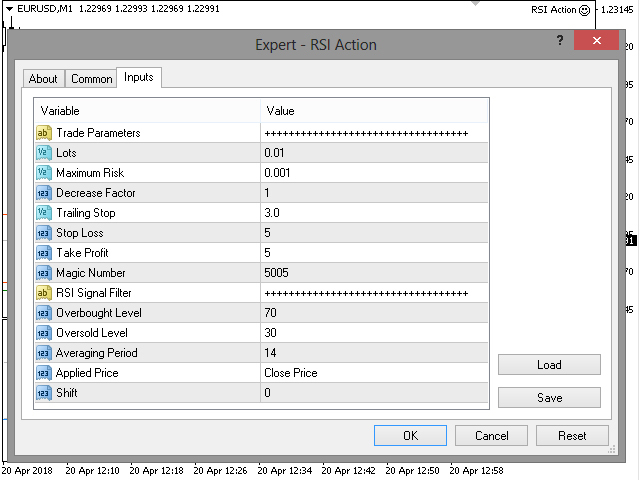 Added few way to filter RSI signals. 5. Removed auto lot optimization function.